We are endebted to a dedicated team of tutors, all of whom work for SV on a voluntary basis. Their collective biographies feature professional work for the BBC Philharmonic, Manchester Camerata, the Halle, RLPO, RNS as well as peripatetic and classroom music teaching. We have qualified teachers, band-leaders, composers, all sharing their skills in the weekly sessions. Noriko's undergraduate studies took place at the University of Manchester where she studied the violin with Leland Chen and gained her MusB (Hons). She continued her studies at the Royal Northern College of Music studying violin with Thomas Kemp and achieving a Postgraduate Diploma in Performance and an MPhil in Performance. Noriko is passionate about teaching and currently teaches violin and piano at schools including Tudor Hall, Sibford and The Elms. She is also a tutor for the English Symphony Orchestra Children’s Orchestras which she helps organise the courses and coaches young musicians aged six to eighteen on courses during school holidays. Noriko plays with various orchestras around the country and is a member of the Darwin Ensemble Chamber Orchestra and the English Symphony Orchestra. Kate completed her undergraduate studies at The Royal Welsh College of Music of Drama. She has since built a successful career as a music teacher across the North West, both teaching in schools and providing private music tuition. She currently works as a music tutor with Trafford Music Service and as a peripatetic tutor at Alderley Edge School for Girls. She is an experienced children’s choir leader and has trained choirs in both church and school settings. She is passionate about providing inspiring musical opportunities and believes all children should have access to a full and rounded music education. Gemma grew up in Loughborough and completed her undergraduate studies at the University of Manchester. From there she went on to spend two years at the Royal Northern College of Music learning with Ben Holland, graduating with Distinction in 2009. Gemma is now a member of Manchester Camerata, the BBC Philharmonic and the Vonnegut Collective. 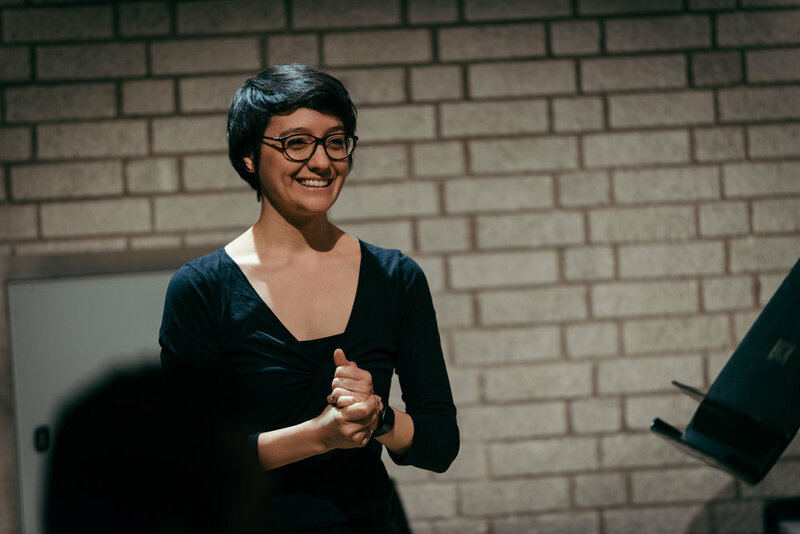 Also interested in the use of music as a therapeutic and educative tool, she regularly leads and assists on education and outreach projects for organisations such as Special Virtuosi, BlueSci and as part of her job with the Camerata.